Ladybug, ladybug fly away home – wouldn’t you just love this adorable ladybug wooden toy to land at your house? 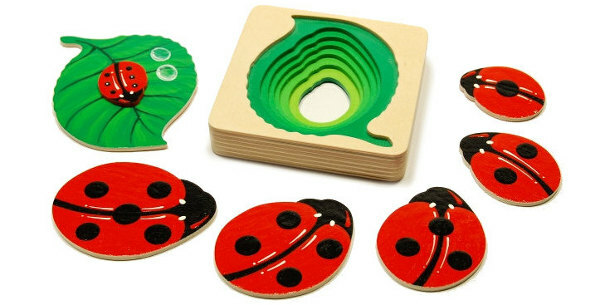 The Dominna ladybug toy starts off as a lone little bug sitting on a leaf, and underneath are five more ladybugs of differing sizes, creating an inverse pyramid. I can see several different play adaptations with this toy. It’s not just a puzzle – each ladybug has a different number of spots, so counting games are a given. And of course, the ladybugs are just as cute as buttons and lend themselves to pretend play. 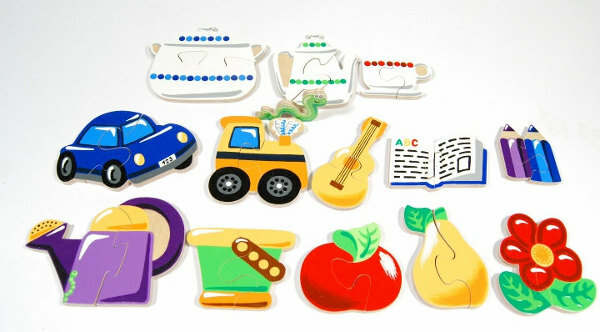 As with all of the Dominna wooden toys, the ladybug toy is beautifully handpainted with ecological colours. One of the other fascinating Dominna creations are the Ecological Wooden Baby Beads. This toy is aimed at babies from five months, and was originally made for a baby massaging centre. 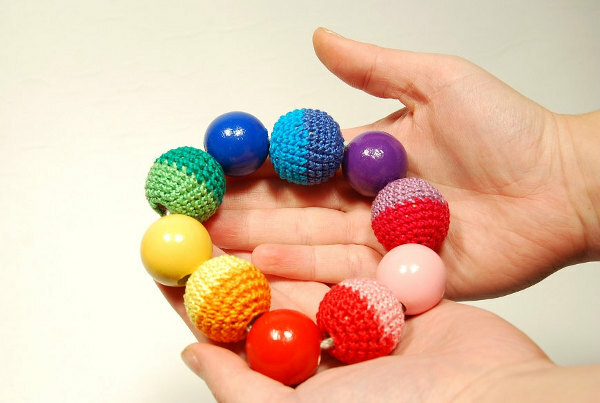 It has ten balls, some covered with crochet for massaging relief on sore gums. But there’s so much more to the beads than being a teether. The bigger balls are aimed at helping little palms to open up, training palm muscles. Again, there are so many play options with this toy, it seems like one of those perfect boredom busters to throw in your handbag. 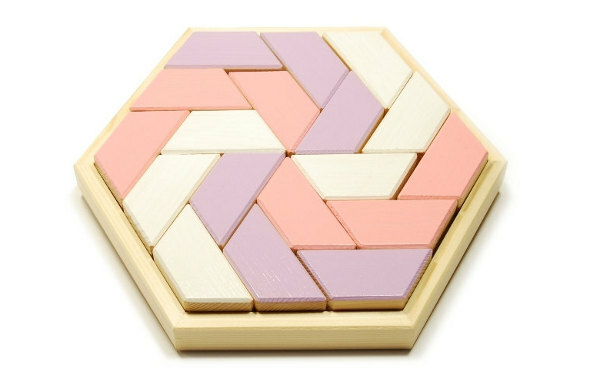 There are also some more traditional puzzles in the Dominna virtual toy shop, albeit with a handmade charm. The ladybug toy is about $28, while the beads are about $17. Latvian-based Dominna ship to Australia.